When Natalie Hampton was in middle school, she was bullied and attacked physically. She is one of the 22% of students ages 12-18 who have experienced bullying. Include cyber-bullying and the rate jumps to 83% for girls and 79% for boys experiencing this at some point in their childhoods. For parents, it can be distressing not knowing how to protect and empower their kids. For Natalie, it was terrible having to eat lunch alone every day. She felt alone, and at first no one, not her mother, nor her school principal seemed to be able to do anything to stop the constant attacks. Fortunately, Natalie’s mom, Carolyn was the kind of mother grizzly who encouraged her daughter to do something creative to respond to the situation. And so Natalie, with the help and support of her mom developed an app called Sit With Us. “Apart from the verbal taunts and violence, one of the worst things was having to eat lunch alone, and the embarrassment of having others see me eating lunch alone. After I changed schools, whenever I saw someone eating lunch alone, I would always invite the person to join the group. Each time, the person’s face would light up, and the look of relief would wash over the person’s face. Some of those people have become some of my closest friends. 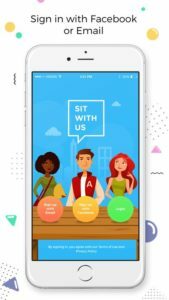 Natalie’s app Sit With Us has become a symbol and a real tool for combating the rash of bullying in middle schools. She has had over 50,000 downloads and has been interviewed on NPR, ABC, Good Morning Am erica, Radio Disney and many other media outlets. Now she is starting her own nonprofit organization to spread the word. Her goal is to create warmer, more inclusive communities in every school where people can find others to make life less lonely, and more connected. Certainly, Natalie turned lemons into lemonade, and has become an ambassador for anti-bullying campaigns nationwide. How did Carolyn, her mother support her in getting so outwardly focused? To put this in terms of emotional intelligence, Natalie made a decision not only to turn her painful experience into something positive (consequential thinking), but to makes something bigger than her own experience (her noble goal) that would help others just like her. She could have become bitter, or withdrawn, but instead, she fought back in a positive way. Carolyn was very supportive in helping Natalie figure out how she wanted to respond. Natalie knew she had a noble goal of helping other kids avoid bullying and make friends at lunch. She also had a great deal of empathy for what bullied kids go through, and could design a simple tool to help them out. Often it seems that social media is a two edged sword for social connection, something craved extra strongly by kids in middle and high school. On one hand, social media sites like Facebook can be a force for exclusion, catering to the superficial ego gratification of selfies being liked and instagram popularity contests. It can be a place for gossip, cliques, cyber-bullying and other negative uses. Despite using the nomenclature of “friend”, these sites fall short of fulfilling our need for in-person, face-to-face, emotionally close friendships. 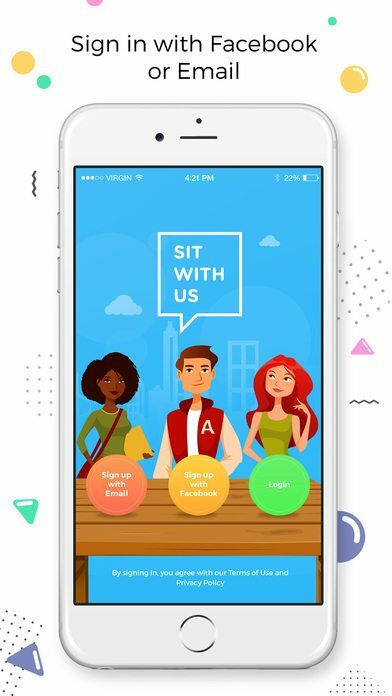 Sit with Us uses existing apps like Facebook to help kids create profiles and make lunch plans, seeing who is alone and wants to meet face to face. It actually enables people to hang out in person. In this Raising Humans podcast, we hear from Natalie and her mother about the events that led up to the app being created, and how they worked together to solve the immediate issue of bullying that her daughter was experiencing. Download in the App Store to start promoting kindness and inclusiveness in your community! Check out Natalie’s most recent interview on ABC World News Tonight. Natalie has shown tremendous courage and I feel gratified to know that her Sit With Us movement is making a difference. All power to Natalie.